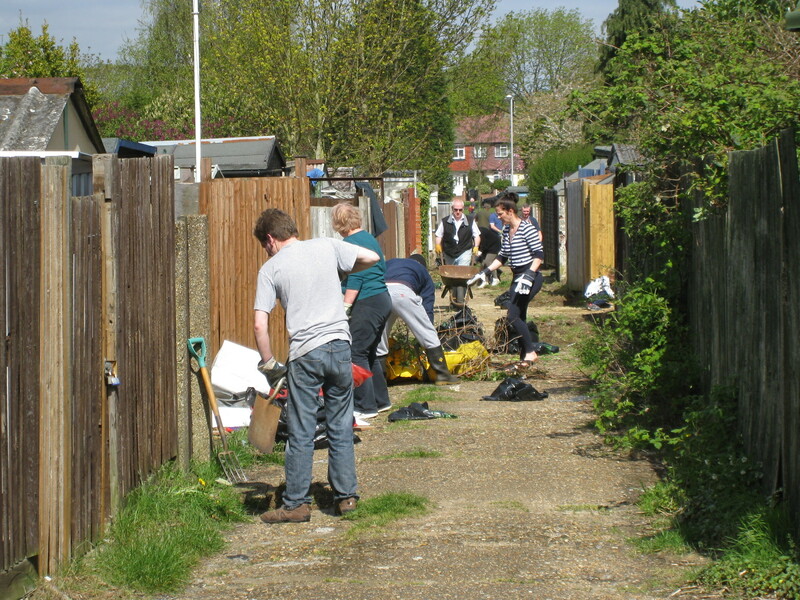 Residents on the Sunray Estate, Tolworth turned out en masse on Sunday 5 May 2013 to action a community clearing of the service road between Hazel Bank and Meadway. The action morning was successfully organised by Sunray and Egmont Residents Association (SERA). 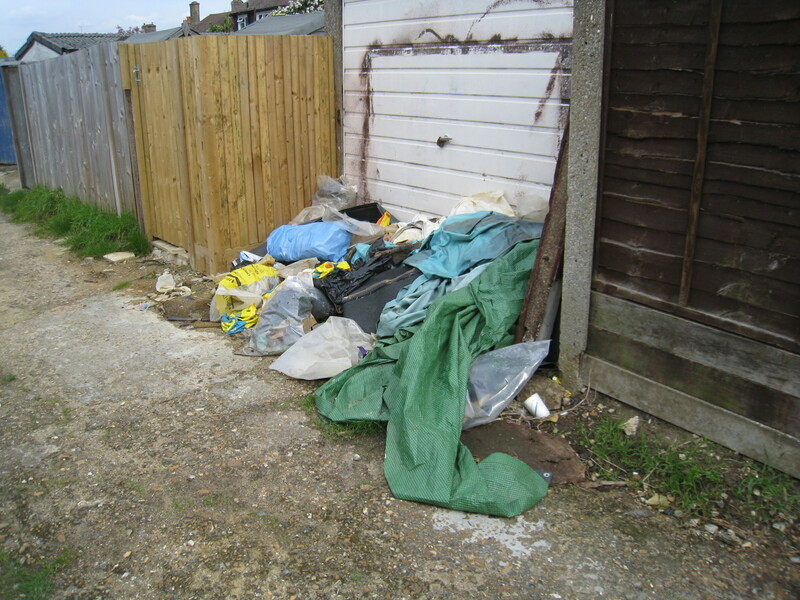 The clear up gathered up over 60 black sacks of various rubbish types; Cllr Hudson and Chris Hayes took 17 of them off to the recycling centre for disposal. Residents and SERA volunteers cleared the undergrowth and rubbish that lined the sides of the road. Tea, coffee and soft drinks were provided throughout the morning. Excellent work! I’m especially impressed with Chris Hayes’ shovel-wielding capabilities.